Kitchen & Bathroom Remodeling Services | Brame Construction LLC. — Brame Construction LLC. 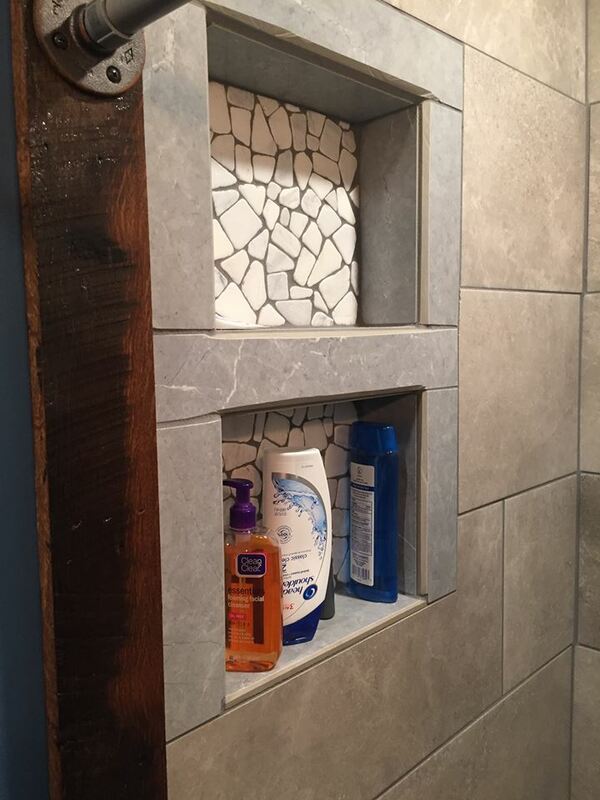 Book a consultation today to learn more about our kitchen and bathroom remodeling services. Our team of contractors can bring your dream kitchen to life! Below: Custom designed tile floor in kitchen. Two different style bathrooms. View from dining room. Custom built storage space above fridge. Custom designed molding under cabinets and shelf. 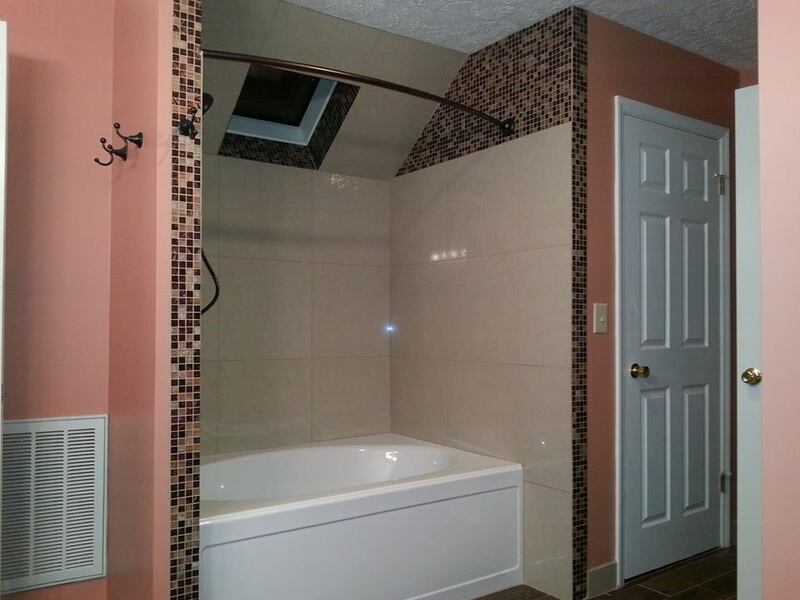 New custom bathroom in Radford.